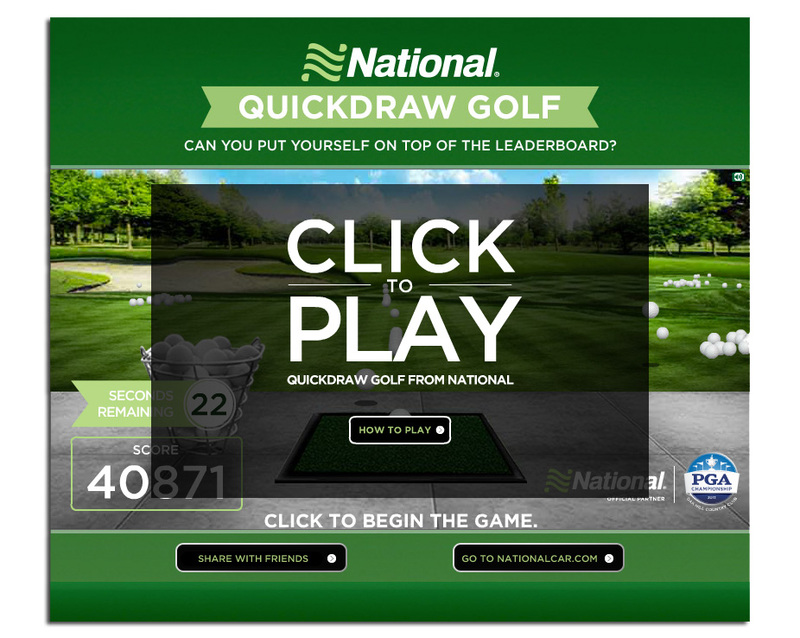 This fun mini-game was part of a large campaign to tout National Rent-A-Car’s partnership with the PGA Championsips. The campaign included a variety of rich media banners which featured playable versions of the game. 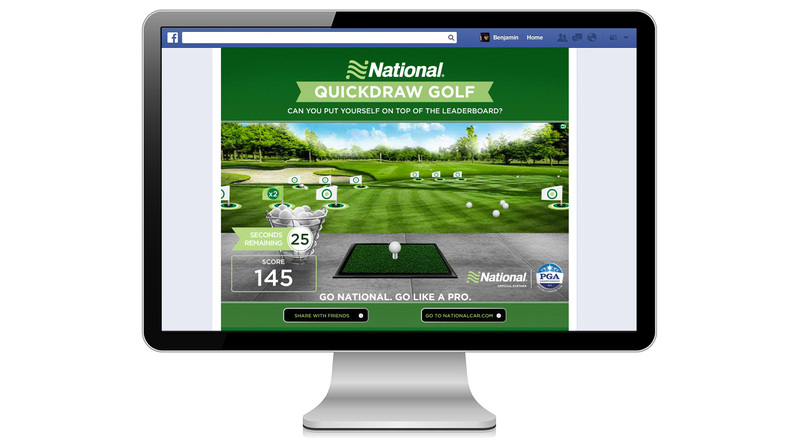 The banners linked to the Facebook tab where users could play the game, post a high-score and visit nationalcar.com. 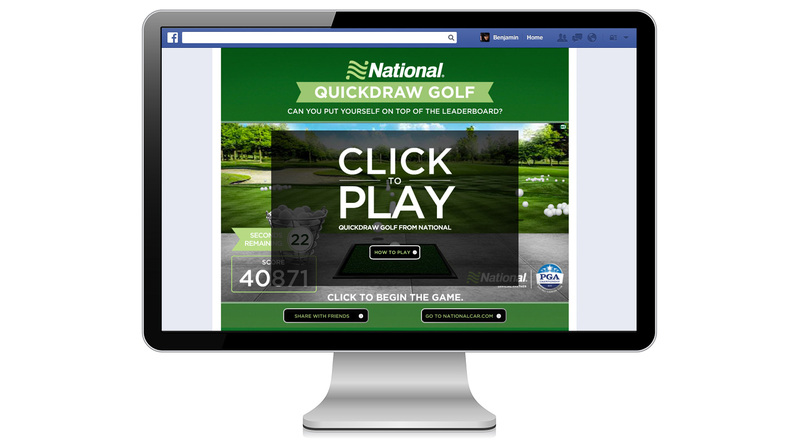 This campaign successfully brought together diverse elements of interactive marketing to create one cohesive marketing message. Zap built all versions of the game, including the banners and the Facebook tab. 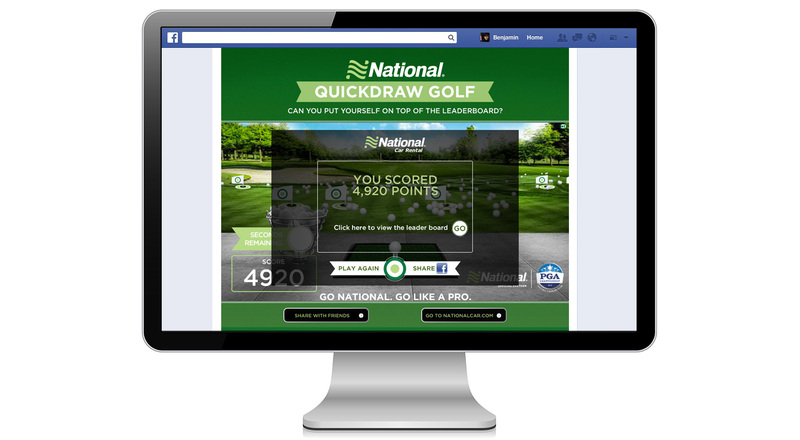 We also created the leaderboard and all of the share functionality.